The youth volunteering charity vinspired, set up under the last Labour government with more than £100m of public funding, is to close with the loss of 20 jobs. The charity has helped more than a million young people volunteer since 2006, but its funding levels tumbled after the coalition government introduced the National Citizen Service in 2010. Staff at the charity's London headquarters will be made redundant on 27 November. Vinspired Education, a regional provider of the government's NCS scheme in the north-east of England that employs 25 staff, will continue. Jessica Taplin, chief executive of vinspired, told Third Sector that the charity no longer had enough money to continue its core online service. "The hope was that our reserves and new funding would support our journey from government reliance to commercial sustainability," she said. "We've attempted to achieve financial sustainability much sooner than originally anticipated but unfortunately have insufficient forward funding commitment to support our core digital service. "Unfortunately, having exhausted all options and our reserves, we know we can’t achieve sustainability in the time our financial position allows." V, as the charity was known until 2011, was set up in 2006 on the recommendation of the Labour government's Russell Commission to encourage more diverse youth volunteering. Launched at a glitzy event in London's Leicester Square, at which Ed Miliband, Minister for the Third Sector at the time, took part in a Mexican wave, it was lavishly funded by the government in its early years. The Office of the Third Sector, later renamed the Office for Civil Society, awarded it £117m for the 2008-2011 spending period. But its income fell dramatically when the Conservative-led coalition, elected in 2010, switched support to the NCS. Ironically, most of vinspired's £9.2m income for the year ending 31 March 2017 came from being a delivery partner for NCS. 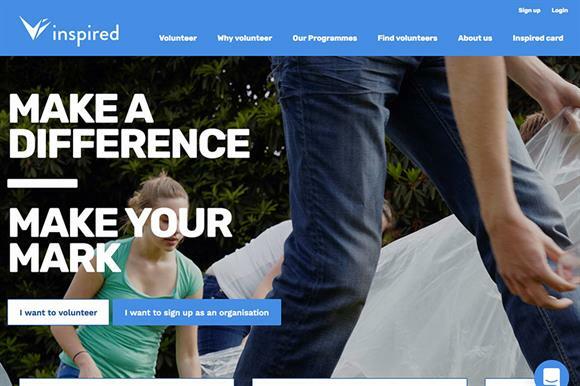 This year vinspired launched the Inspired Card, which rewards young people for volunteering. So far 15,000 people have signed up for it. The insolvency firm Antony Batty & Company LLP has been appointed to handle the winding-up. It is hoped an organisation will be found to take over vinspired's website.